It’s the One Direction boys’ first video since Zayn packed his bags, dumped his girlfriend and saw himself get caught up in a Twitter war with Calvin Harris. 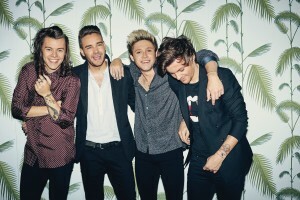 So how do they fare as a foursome in the video for their Aussie No.1 hit ‘Drag Me Down’? Given about half a million people have watched it across the planet in little more than two hours, we reckon the answer is… pretty good, thanks. They’re apparently at NASA, training to be astronauts, going through all the training needed to ultimately make it into space, which they do towards the end of proceedings.